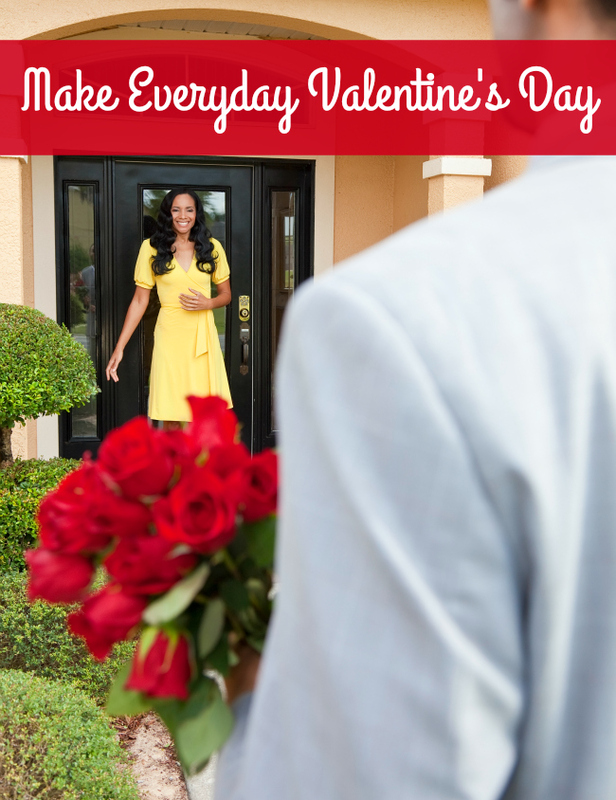 Need something sweet for Valentine’s Day? 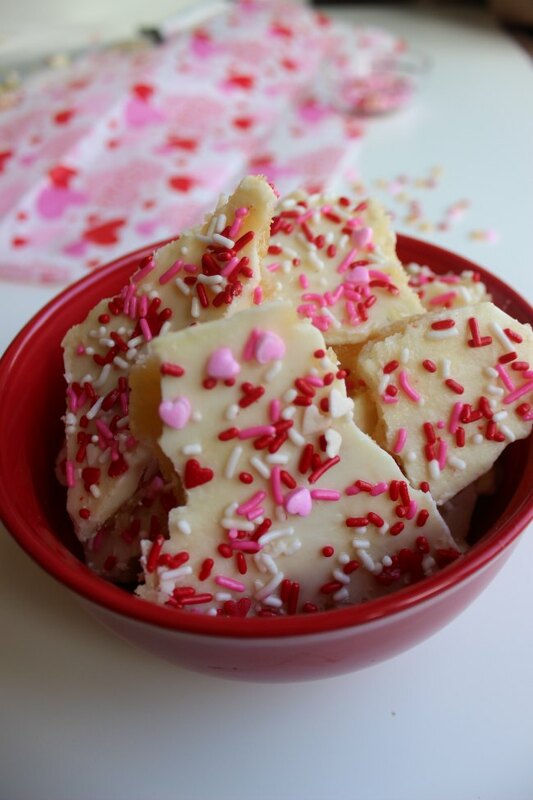 White Chocolate Saltine Toffee is an easy and fun holiday recipe. 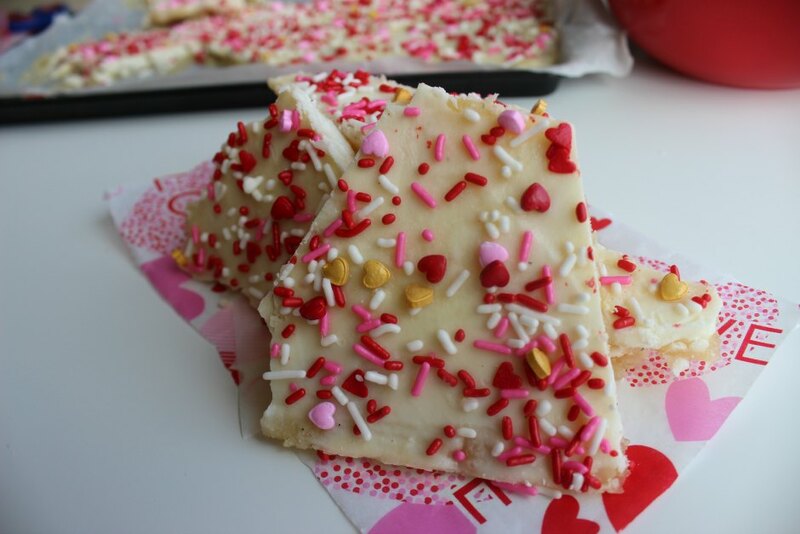 White Chocolate Saltine Toffee – Easy to make salted white chocolate saltine toffee bark a decadent treat or gift for Valentine’s. 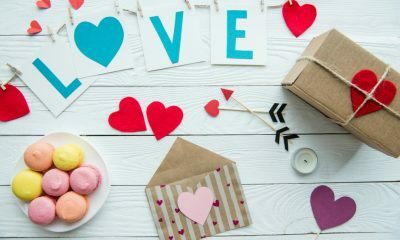 So if you’re having friends over for Valentine’s weekend, this will be a yummy treat. I mean who doesn’t love toffee. 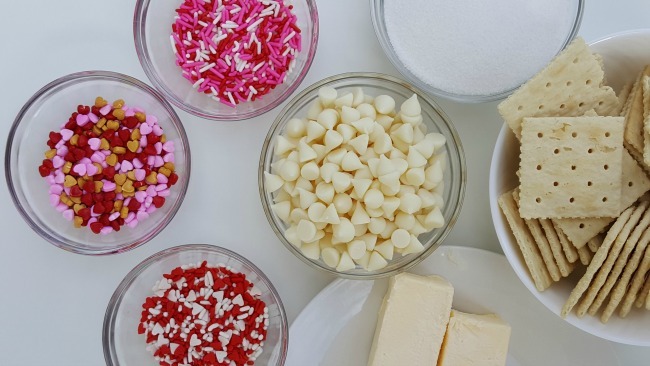 You only need 5 ingredients and little to no prep work. Th steps are easy to follow. 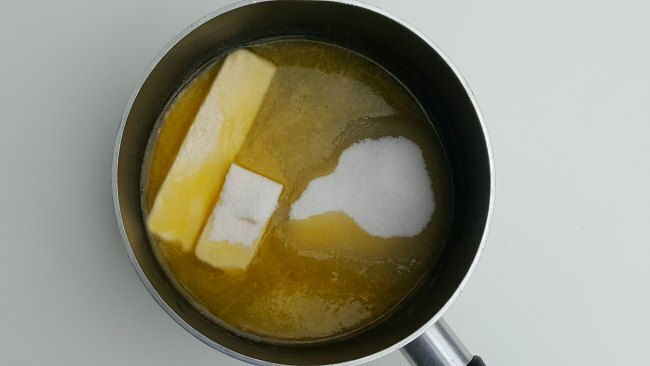 Melt butter in sugar but keep an eye on it so it doesn’t bubble over or burn the sugar. 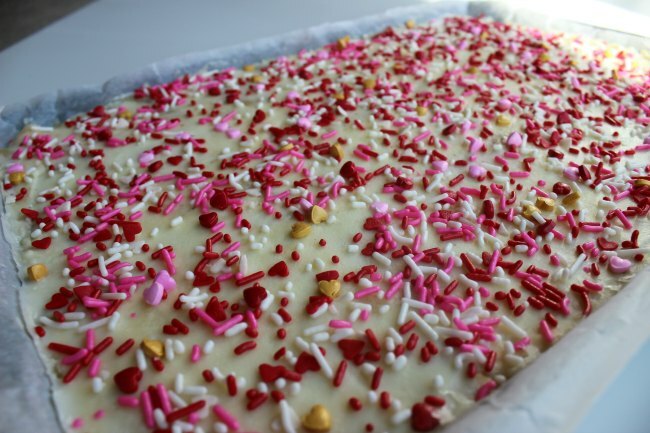 When you remove the cracker from the oven, quickly sprinkle the white chocolate and spread evenly as it melts. Right out of the oven, leave it out to cool on the table for about 10 minutes then transfer to the refrigerator or freezer. 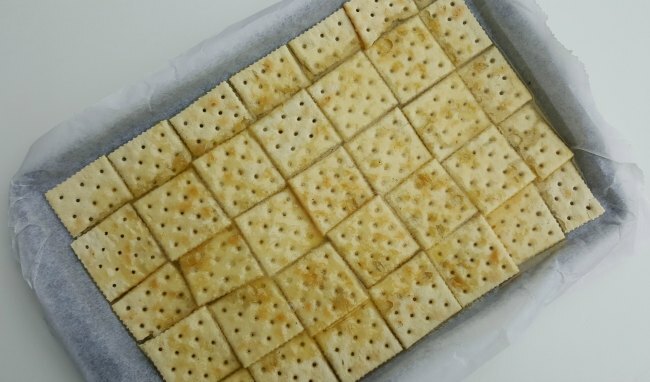 Arrange saltines in a single layer; set aside. Serve at room temperature or store in airtight container.